Some legislators may be throwing tantrums on flights seeking special attention, but in case of Tirtol MLA, it was call of duty first than the VIP treatment. JAGATSINGHPUR: Some legislators may be throwing tantrums on flights seeking special attention, but in case of Tirtol MLA, it was call of duty first than the VIP treatment. 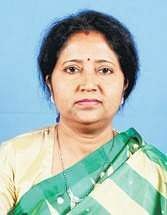 While flying in an Air India flight from Bhubaneswer to New Delhi to attend a party event on Tuesday, BJD MLA Dr Rajshree Mallick not only came to the rescue of a couple but also saved the life of the man. After the flight took off, Kumud Mohanty and his wife, sitting in front seat of Mallick were having breakfast when Kumud fell unconscious with food inside his mouth. As his wife started crying and shouted for help, the air-hostess rushed to her and finding Kumud unconscious, announced for help from any doctor on the flight. Dr Mallick immediately introduced herself as a doctor and started attending Kumud. She first opened the unconscious man’s mouth with bare hands and removed the food particles. As she suspected that the food might choke the respiratory track proving fatal to his life, she started giving cardiac message with assistance from the air hostess. After about 15 minutes, Mallick succeeded in bringing Kumud back to sense. As the couple expressed gratitude to the legislator, they were pleasantly surprised to know that Dr Mallick is Tirtol MLA. The couple belongs to Jagatsinghpur district’s Naugaon area. Kumud works in a private company in New Delhi and had come to visit his native place with his wife. Before joining politics, Mallick was an associate professor in pathology department of SCB Medical College and Hospital, Cuttack.